I’m home and have been catching my breath from a whirlwind of travel and catch up since leaving the Seabourn Quest ship in Buenos Aires, Argentina. 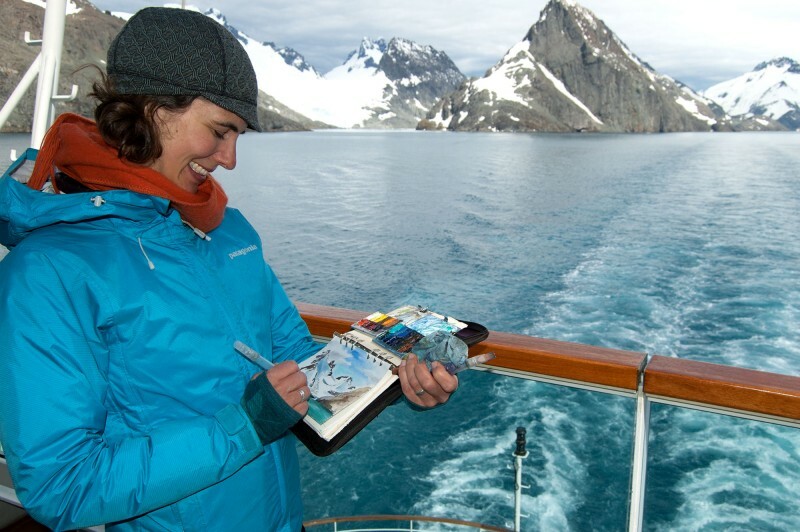 It was a spectacular voyage and it was a privilege to be onboard as guest artist. A highlight after Antarctica was visiting South Georgia, a British Territory in the remote southern Atlantic ocean. It was a popular region for whaling, and Shackleton sought help for his stranded men there in 1916. On a later expedition in1922, Shackleton died onboard his ship in South Georgia and was buried at the whaling station (and now a research station) Grytviken. South Georgia is home to a remarkable density of wildlife. 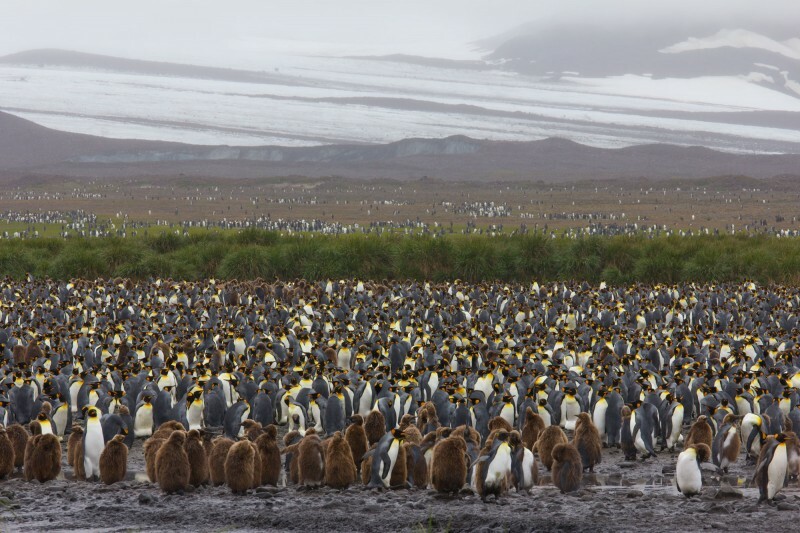 We visited Salisbury Plain, which is home to hundreds of thousands of King Penguins. Exploring the coast was also beautiful. One morning we took shelter from high winds by cruising up Drygalski Fjord. I tried to quickly sketch the light and colors with my Art Toolkit. I completed about 30 paintings during the voyage, in addition to dozens of quick sketches that I hope to complete and use for inspiration for larger works. I thank everyone onboard the Seabourn Quest for their support and enthusiasm, especially geologist Cathie Hickson who made the trip possible and was a fantastic roommate. Thank you to everyone for following my southern adventures, and stay tuned for studio updates! Thank you for sharing your experience with armchair travellers like me. Your sketches are wonderful and inspiring. 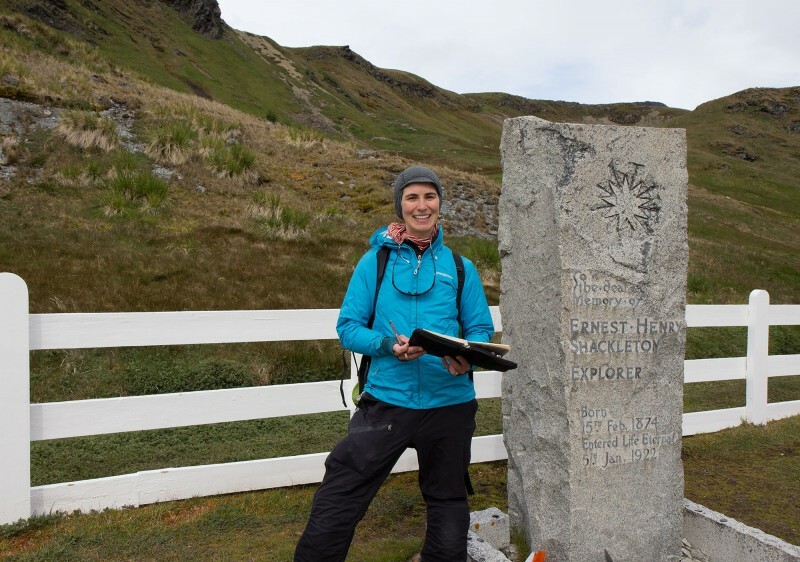 I’ve just read all your Blogs from the Expedition… LOVED seeing your paintings again… Wow!!!! I’m getting ready to order some things from you, but I just wanted to SAY HI!!!! Maria, love reading and seeing your adventures. Beautiful artwork, glad that you had enough blue! 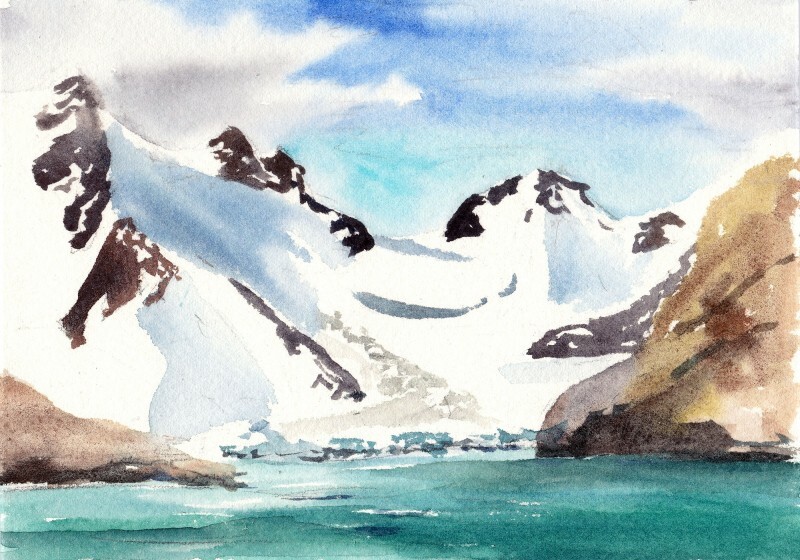 Sketches and paintings for the Southern Patagonia coast. I’m in South America on my way to Antarctica. December 1st was Antarctica Day, celebrating the anniversary of the signing of the Antarctic Treaty in 1959. Details about my father’s polar research and current work with NASA’s Icebridge project.